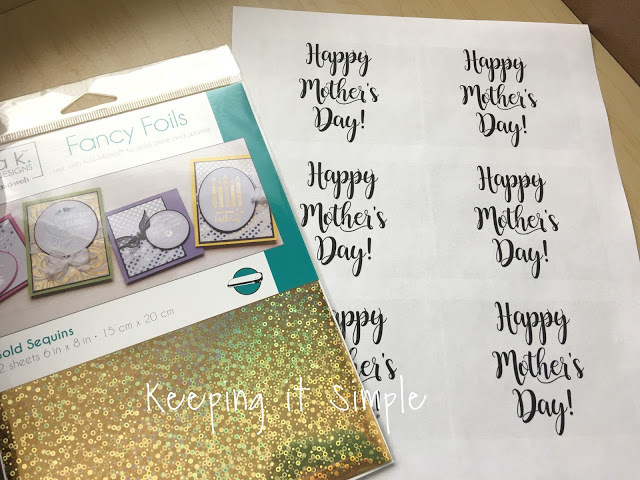 Mother’s Day is coming up this week, so naturally I am doing things last minute :). 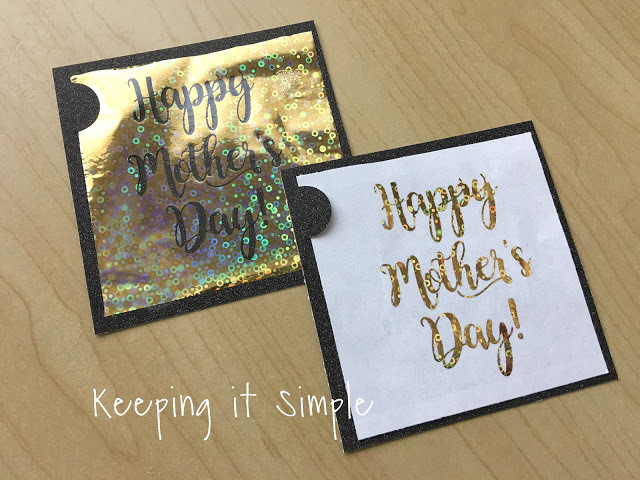 I try to make a new Mother’s Day card every year so this year I decided to put some pzazz on with it with some deco foil. This stuff is so cool and awesome and I can’t wait to foil everything now :). I made a quick printable for the card, you can get it here. Then I used these fancy foils. 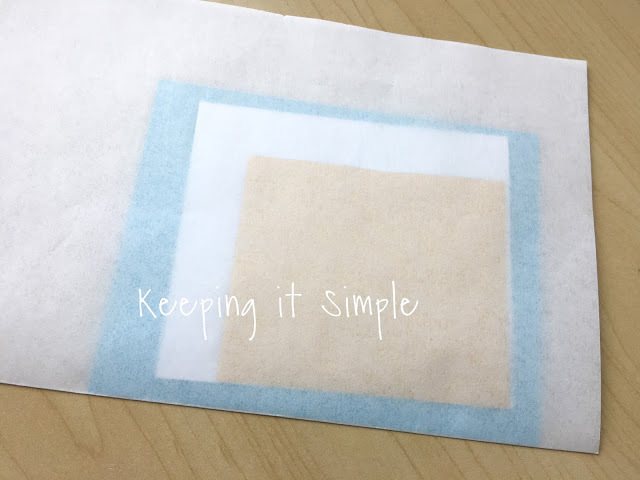 In order for the foils to go onto the print you HAVE TO print it on a laser jet printer, it will NOT work with an ink jet. Once I printed off the saying, I cut it out, leaving some space around the words. 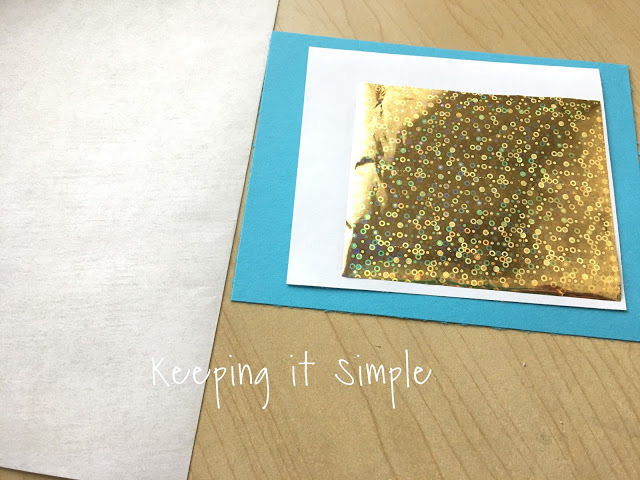 Then I cut the foil, making it a little bit bigger than the words. 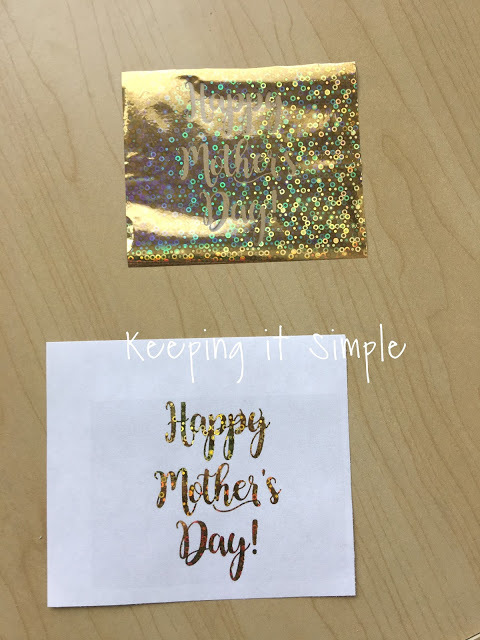 Then I placed the foil (with the gold side up) onto the words. 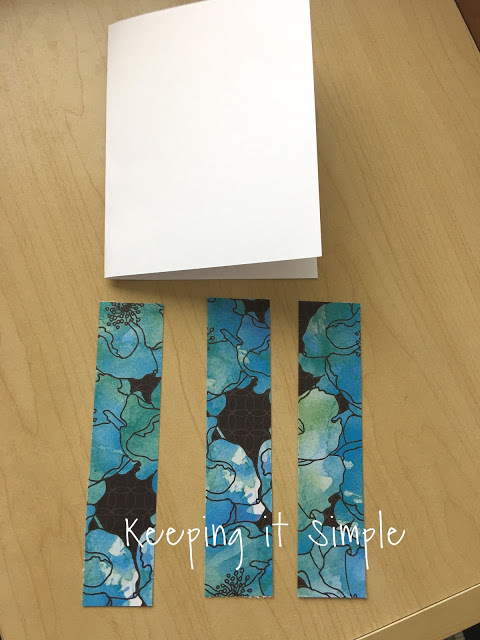 Then I put it onto a piece of card stock (for more support). I then put it all inside some special paper that came with some Foil Mates. 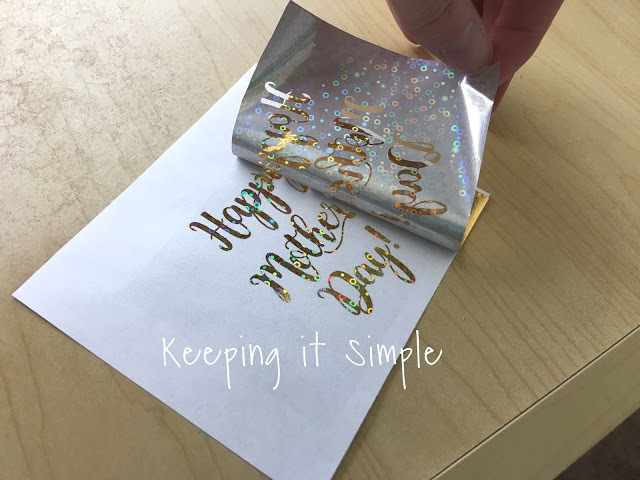 You don’t have to this special paper, you can sandwich the card stock, quote and foil in regular paper. The next thing you do is put it through a laminator. You want to make sure it’s hot before putting it in (it takes 10-15 minutes to warm up) and you will want it on the 5ml setting. 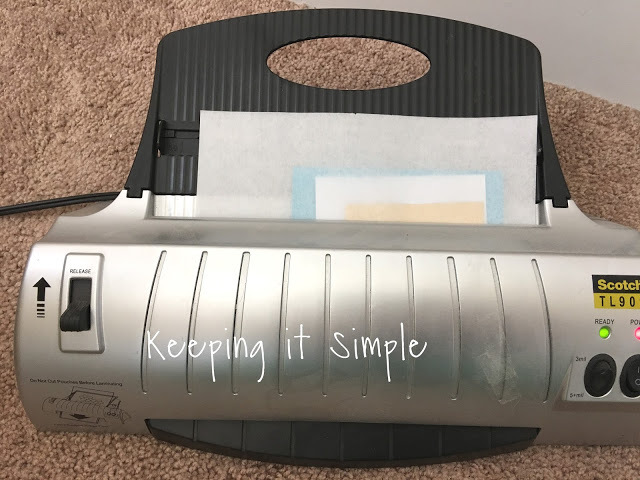 Once it’s gone through the laminator, you just take off the foil and it transfers onto the printed words, how cool is that!?! Seriously I was in awe when it happened. Here is the foil on the words and then the foil with the words out of it. It was too pretty to waste, so I used it for another card. Now for the card. I cut three strips that were 1 1/4 x 5 1/2 inches. And for the card, I cut card stock to be 5 1/2 x 8 1/2 inches and then folded it in half. 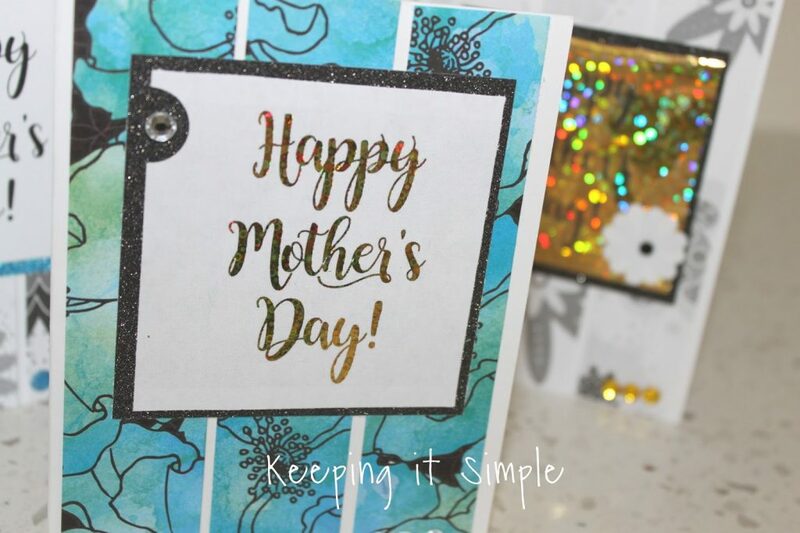 I glued everything onto the card and then added for a few rhinestones. The foil is so cool! I love how it transferred onto the printed words, the possibilities are endless. 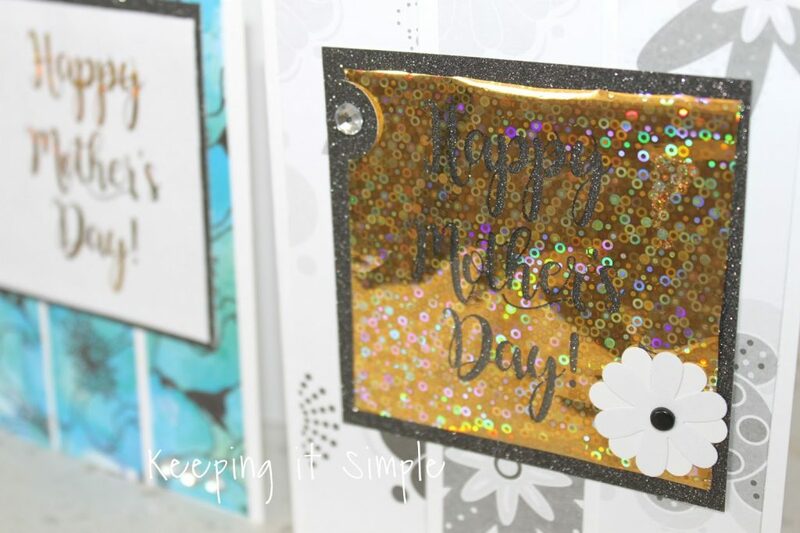 And here is the close up of the foil with the words out of it, so much fun! I did a FB live video and made these cards! This is a very real, unedited video of me (and my first ever FB live….) 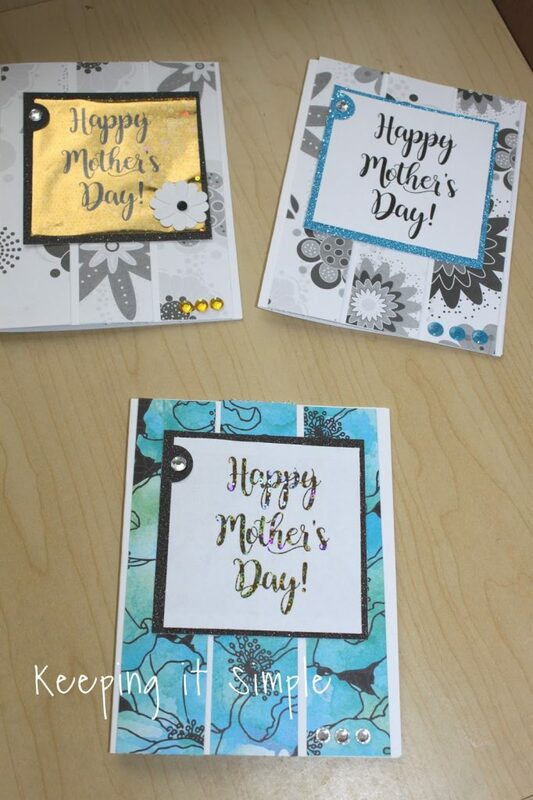 so it’s not close to being perfect but it shows how to make the cards and how to use the fun Deco Foil. These turned out great! 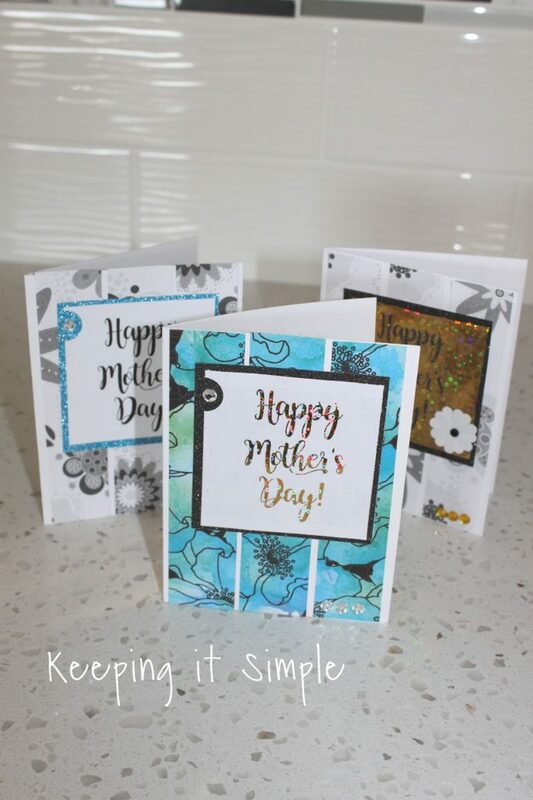 Thanks so much for including our Deco Foil products in this!